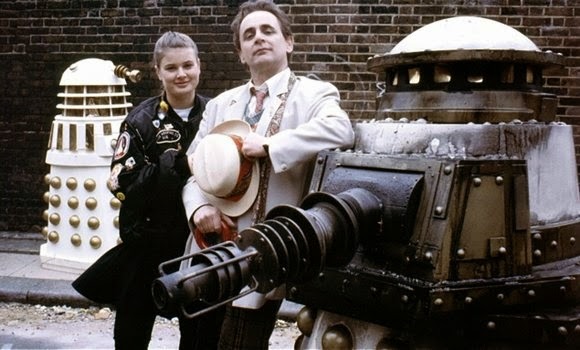 DOCTOR WHO - Which are the best SYLVESTER McCOY stories? | Warped Factor - Words in the Key of Geek. 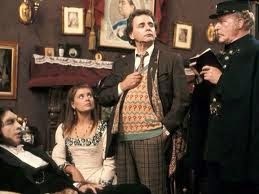 DOCTOR WHO - Which are the best SYLVESTER McCOY stories? 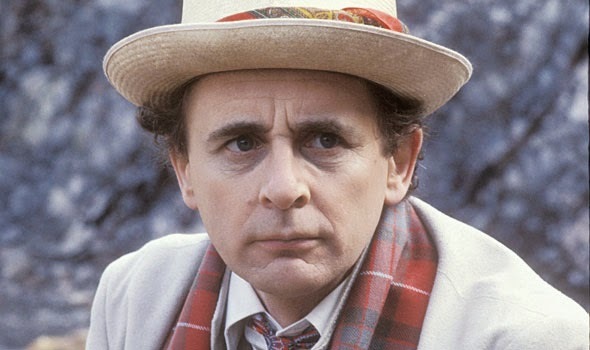 As we continue our look back at the best Doctor Who stories from each actor who has portrayed the Time Lord, we reach the late 1980s and Sylvester McCoy. 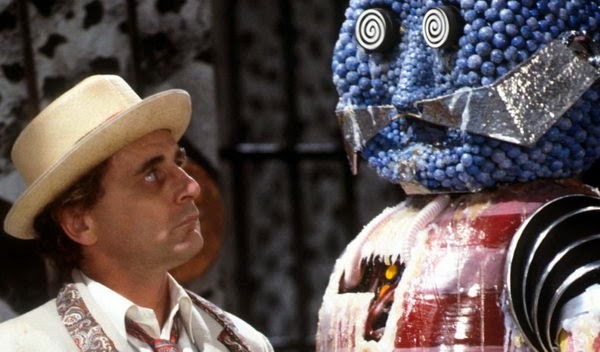 Matthew Kresal counts down five of the best from the Seventh Doctor. 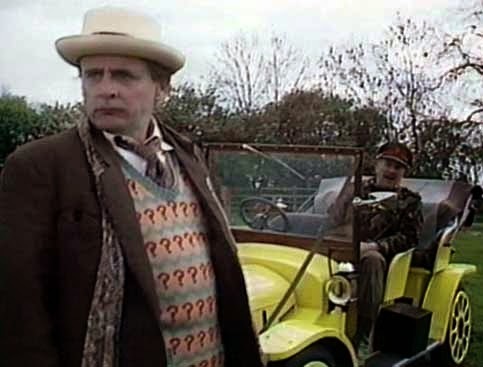 Few eras of Doctor Who are as divisive or controversial as that of Sylvester McCoy's. Covering the final three seasons of the show's original twenty-six year run, it's an era that has borne the brunt of some fans blame as the era that put the final nail in the coffin for a show that was already in deep trouble. For others though, its an era that while it had its hiccups was also a time that showed that Doctor Who wasn't dead yet, and that the plug was pulled in the midst of a rebound. Personally, I fall into the later category. Like virtually all other eras of the show, the McCoy years had their fair share of stories that worked better than others. When stories worked, they worked well, and others were sometimes victims of the problems that sadly plagued the show in its final years: too little time, too little money. There can be no doubt though of the ambitions of script editor Andrew Cartmel and his writers, and of McCoy himself who spent his tenure in the role turning his Doctor from a clown to something far more darker and mysterious. It was that Doctor that made its way into the spin-off fiction that kept the show alive during the Wilderness Years. Within two years of the final episode of Survival airing, Virgin books launched the New Adventures that would prove to be the springboard for many of those who would eventually write for the New Series (including Paul Cornell, Mark Gatiss and even Russell T Davies), and would see the original version of Human Nature being released in 1995, more than a decade before it became one of the highlights of the tenth Doctor era. McCoy's Doctor has also thrived in the Big Finish audios and was also the star of the first Doctor Who webcast, Death Comes To Time, back in 2001. The McCoy era then, for all its faults, isn't quite the disaster that some would believe as these five stories hopefully show. Perhaps no story on this list will be as controversial a choice as this story. For some its everything that's wrong with this era of Doctor Who: it looks cheap and its choice of villain can be cringworthy (he's called the Kandy Man after all). Yet for a story often derided for how it looks, The Happiness Patrol is about looking below the surface for what's really there. The Doctor and Ace's journey through the various levels of society on the colony world of Terra Alpha makes for a fascinating satire of not just Margaret Thatcher's Britain (something that would become a slow news day item more than twenty years after the story was broadcast) but of totalitarian regimes around the world and throughout history. It's also a story full of wonderful character moments such as when the Doctor confronts two snipers on a rooftop who are preparing to kill a group of protestors by coming to them and forcing them to potentially murder him not from far away, but right next to them. It's a powerful moment and one of the best performance moments from McCoy. Doctor Who has time and again proved itself capable of adopting mythologies for its own purposes and Battlefield is no exception. The story makes fine use of the Arthurian legend with its use of its heroes and villains, giving the story an anchor in on the long lasting and best known mythologies of the Western world. Even more interesting from the Arthurian standpoint is that the Doctor is identified as being Merlin, which not only makes for a interesting plot device but adds a nice bit of mystery back to the Doctor. There's also a welcome return to some of the elements of the series own mythology, including UNIT, its original commander Lethbridge-Stewart, the Doctor's old car Bessie and the morality about war and diplomacy that ran throughout some of the original UNIT stories of the 1970's. It's a story that looks to the past as well as to the future and succeeds at doing both, especially with its special edition version presented on its DVD release, which includes a couple of scenes originally deleted from the television broadcast version, as well as improving some of the effects. For those complaining about the complicated plotting of the New Series, it might be worth a viewing of this 1989 story. Writer Marc Platt's script is densely layered and works in a large amount over the story's three episodes (and even more material that had to be cut), ranging from themes of evolution to Victorian society, as well as references to a number of classic books and stories of the era. It's a story that is really meant to be watched several times, with the viewer extracting something new from each viewing. Even if the plot is perhaps too complex for its own good, it's full of strong performances from its supporting cast including Ian Hogg's Josiah and Sylvia Syms as Mrs Pritchard. 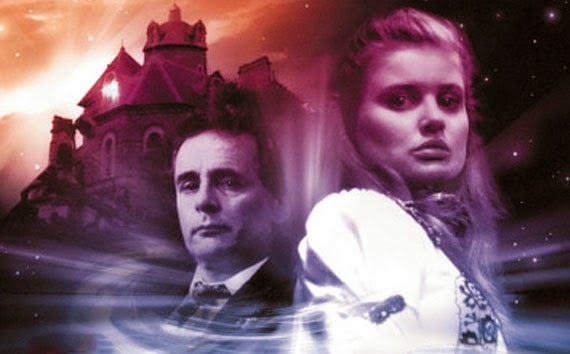 Above all else though, it is a story that puts companion Ace (played by Sophie Aldred) front and center and kicks off a trilogy of stories that explore the character further than perhaps any other companion of the original series. The opening story of the show's twenty-fifth season has remained a fan favorite ever sense. For anyone who thinks the McCoy era was plagued by looking cheap, take a look at this story. Returning the show to its roots in 1963 London, with the Doctor back to settle some unfinished business involving the ancient mysterious device called the Hand of Omega from his home planet, which is being sought by not one, but two waring factions of the Daleks. In doing so, the Doctor and Ace work alongside a team made up of British military members and scientists, as well as dealing with a neo-fascist group in league with one of the Dalek factions. The script by Ben Aaronovitch sucessfully combines elements of the show's past such as locations from the very first Who story and the history of the Daleks while not alienating new viewers, working them into a science fiction action/adventure story that makes excellent use of its setting as well as showing off some excellent special effects and action sequences along the way. 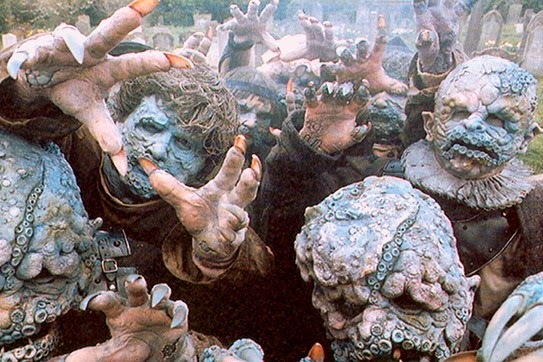 Conventional wisdom has it that by 1989 Doctor Who was in its death throes. If there is one single piece of evidence to the contrary, it is The Curse Of Fenric. McCoy gives his single best Doctor Who performance in this story as he strikes just the right balance between his more comedic Doctor of season 24 and the more serious Doctor of season 25 and earlier in season 26. Here he is a man playing a mammoth chess game with the various characters (and indeed his own companion), as the pieces with the stakes being nothing less than the fate of the world and history as we know it. Fenric also presented, like Ghost Light before it, a story full of plots and characters that might very well require multiple viewings for it all to sink in, but worked that around a more conventional Doctor Who plot involving monsters rising from the ocean depths, Viking legends and Second World War codebreakers. This is a story that showed there was potential in what some called a “tired, old show” yet, and, as the penultimate story of the Original Series, was a last moment of greatness before the (temporary) end. So which do you think are the best Sylevster McCoy Doctor Who stories? Do you agree with Matthew's choices, or do you have a different top 5? Next time it's the turn of the Sixth Doctor, Colin Baker. If you'd like to have your top 5 Doctor Who stories from Colin Baker's era featured then contact us at warpedfactor@live.com.